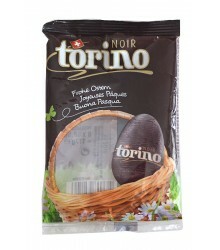 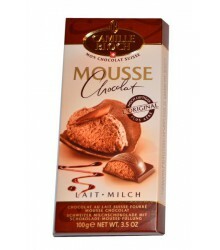 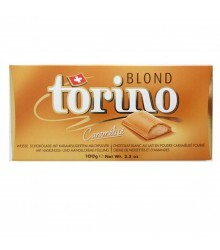 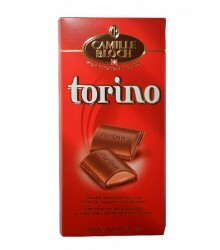 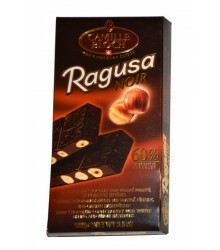 Description: Let this combination of exceptional tastes seduce you! 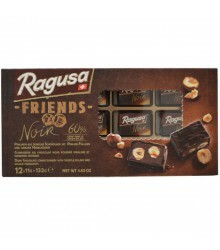 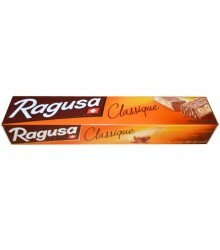 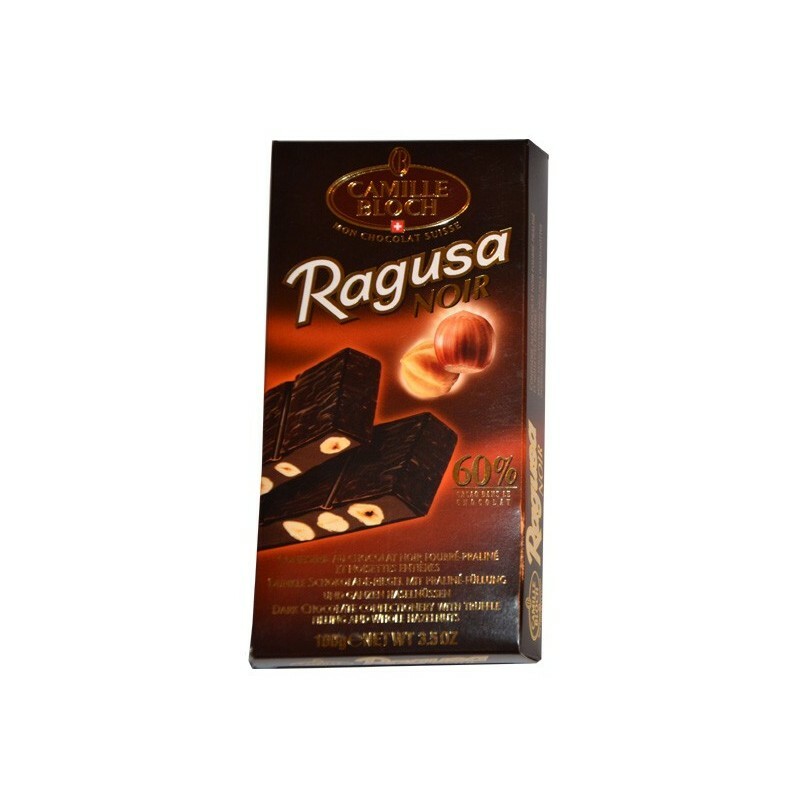 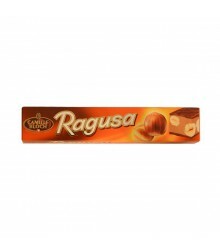 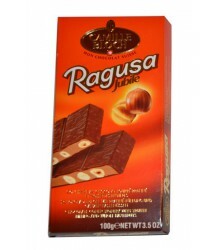 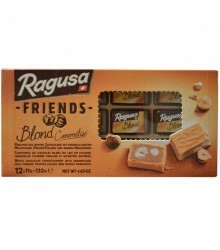 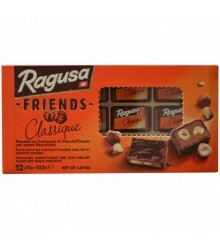 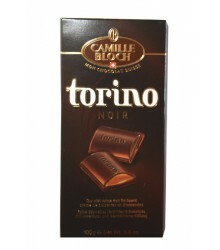 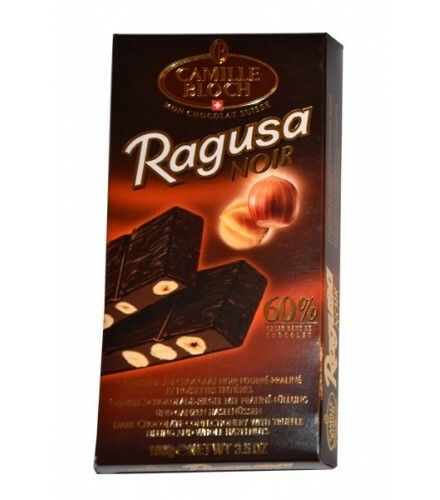 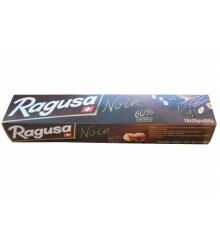 The black Ragusa with 60% gives you a unique gustative experience due to its whole hazelnuts and its unctuous chocolate lining. 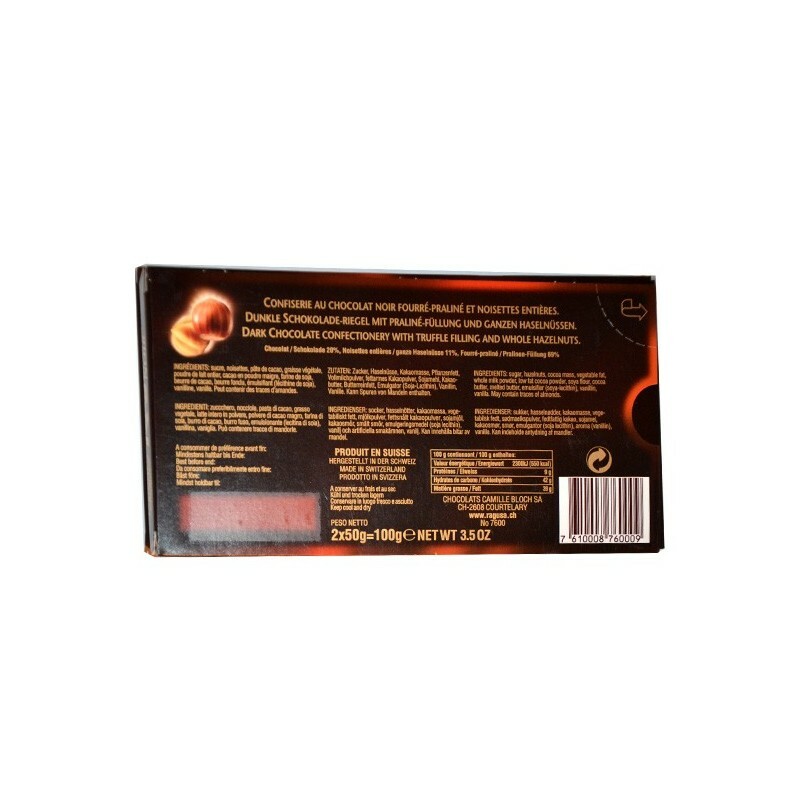 Ingredients : sugar, hazelnuts, cocoa mass, vegetable fat, whole milk powder, low fat cocoa powder, soya flour, cocoa butter, melted butter, emulsifier (soya lecithin), vanillin vanilla. 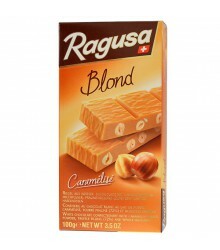 May contain traces of almonds.